As the U.S. Soccer Development Academy counts down to its 12th consecutive season and second straight year of Girls' programming on Saturday Sept. 1, the elite player development program will be celebrating the role models that help create consistent, every day environments on and off the field for players to reach their highest potential. 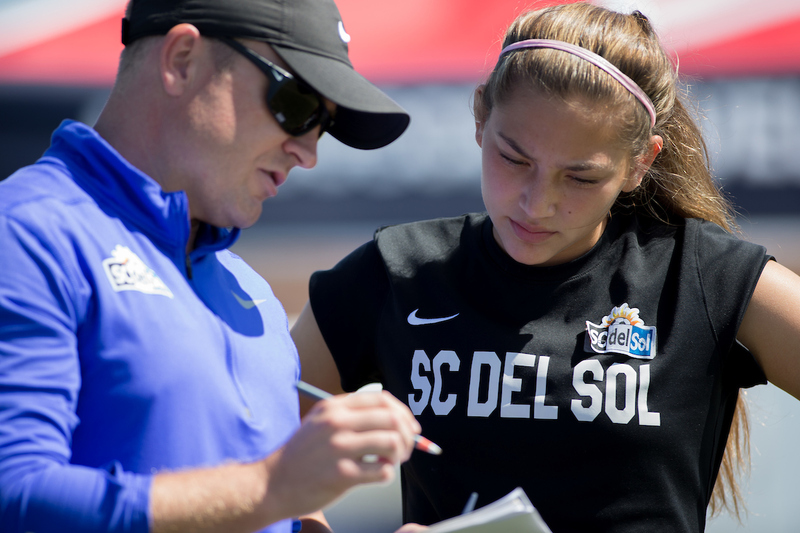 In the 12 days leading up to Sept. 1 (Aug. 20-31), the Development Academy will recognize those individuals who make player development possible for YOU, the top players in the country. Use the hashtag #MY12TH to share your story (in a photo with a few words) about who has been the 12th member of your team, supporting you to become the best player you can be and enter to be featured on ussoccerda.com, Twitter, Facebook or Instagram. The 12th members of every team are there to support and push 11 on the field to be better, challenging them every day to reach their optimal goal. They support you no matter what- win, lose or draw. Who is that person for you and how have they impacted your growth and development? Every day from Aug. 20-31, the most inspiring entries will be highlighted across all of the Academy's digital platforms. My mom is #MY12TH I look for her and my family each time I go in the goal. I know she's cheering for me to do my best. Even better than other moms, mine is an athletic trainer! She can figure out what's wrong, treat my injuries, and create fun-but hard-workouts we can do together.